How can I speed up my WordPress site? Best WordPress Caching Plugins. Fast page load = More views = More revenue. If you own a website, you may be confused by a lot of the internet terminology that comes along with it. You want to speed up your website but finding the right plug-in takes effort, and with so many things to learn, you don’t know where to start. A caching plugin may be just what you need. your product or service. Best WordPress Caching Plugins: Caching is a type of hardware that stores data so it can be retrieved faster later. Caching plug-ins do this by securing a static version of your blog that decreases load times and speeds up your WordPress site. This way, visitors to your blog won’t have to wait those crucial seconds that could make or break Luckily, there are many plug-ins available for beginner and more advanced WordPress users that offer different capabilities to help eliminate load times and attract visitors to your homepage. Ranked as AThemes’ fastest caching plugin, WP Rocket soars above its competitors by offering tons of smart features like database optimization and GZIP compression (which saves bandwidth). You’ll have to pay a license fee in order to use it, but the amount you’ll gain in speed may just be worth it. For a free, easy-to-use caching plugin, try Cache Enabler. Its simple interface has only four settings — cache expiry, cache behavior, minification, and cache exclusions. Perfect for beginners or those who don’t want to manage an abundance of confusing features. A sort of “cache-all” of cache plug-ins, W3 Total Cache possesses a multitude of features, including caching of pages, feeds, fragments, and search results pages, as well as CDN (Content Delivery Network) Integration which can help generate greater, faster access to your content. It’s highly recommended for more advanced WordPress users. WP Super Cache is another excellent option for beginners. While it has fewer caching options that W3 Total Cache, you’ll have access to both Easy and Advanced setting options. It’s also considered one of the fastest caches available. WP Fastest Cache is similar to its competitors in many aspects. It uses mod_rewrite to speed up your blog site (WP Super Cache has that as an option.) In addition, minification and GZIP compression are a part of this plug-in’s features. 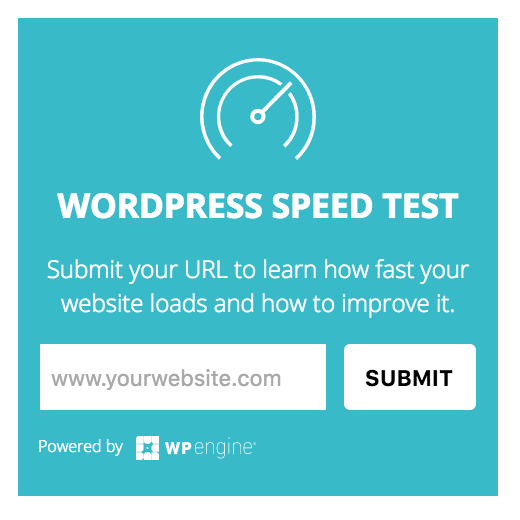 If you’re looking for more customization options that the other beginner plug-ins without being overwhelmed, WP Fastest Cache is your go-to option. Formerly ZenCache, Comet Cache’s ingenious model has made it a welcome option among its users. This plug-in captures your data (whether posts, links, etc.) by taking a snapshot of it and storing it which cuts down on load times. You’ll be able to cache 404 requests and RSS feeds among other things with this out-of-this-world plug-in. Like Cache Enabler, Cachify is a straight-forward plug-in that gives you faster speed without all the hassle of adjusting settings. It’s available in 6 languages and has over 20,000 installations currently. Hyper Cache is run solely on PHP rather than mod_rewrite and utilizes less complicated configuration. For this reason, it’s become popular, garnering over 40,000 installations. Good for businesses, Fresh Performance Cache features white label admin, where you can add your own custom logo. This will tailor your website to better present your brand to your clients. However, it does require a license fee to run. If PHP-driven caches are too expensive, Alpha Cache may be worth a look. Using this plug-in, you can enable and disable cache for certain users and even set up cache timing. Alpha Cache is one of the easier WordPress options while still possessing a few interesting features in its arsenal. Overwhelmed by all these features? Do you want a cache that allows for one click and you’re done? Then Simple Cache is the plug-in for you. Simple Cache has one on/off switch for caching and it also has GZIP compression. For the easiest of caches, make it Simple. Breeze is a fairly new cache plug-in, offering features of the others caches on market for free. It works across WordPress, as well as WordPress Multisite, and WordPress with WooCommerce. But its stand-out feature is its support for Varnish, a type of HTTP accelerator for content-rich websites. Speaking of Varnish, Varnish Caching is also available for Varnish users. If your website is really pulling in traffic, choose Varnish Caching to help speed it up. This plug-in also purges old content when it’s ready to be modified and updated. Powered cache provides a host of features that make it an outstanding plug-in choice. It’s easy to install and comes with logged-in user cache, object caching, GZIP support, page caching, and smart cache purging. With such a variety of cool features, Powered Cache is a powerhouse! One of the best plug-ins for page caching, Gator Cache chomps at the bit to give you fast speeds and automatically updated content. Gator Cache is compatible with WordPress Multisite, WooCommerce, WordPress HTTPS, and many others. Fresh, new content is just within reach! If your focus is on fragment and object caching, you need to consider Blunt Cache. With it installed, you’ll be able to capture the HTML output of each section of code. You can even clear your cache and add unique key names for objects you stored. If I’m being blunt, this is a good option for your website. WPBase Cache is a nifty plugin that works with varnish, nginx, php-fpm, and php-apc to effectively drive your website. For those with any of the above servers, this is a very helpful plug-in. 3 types of caches are available as well — full page cache, database cache, and opcode cache. Speeding up your website is simple with these cache plugins. Beginners and experienced WordPress users have plenty of options at their disposable for decreasing load times and increasing traffic. Experiment and discover which cache works best for your needs. NOTE: Use GtMetrix, WebSpeedPageTest, or Pingdom to see if you could benefit from caching your WordPress blog or website. For more website and other DIY help, contact us. We offer tips and tricks to help you get your next project off the ground and into reality. Contact or leave a comment in the area below. Previous post: What Types Of TV Cables Are On The Back Of Your Television And What Do They Do? Next post: Washing Machines – How Do They Work And What Parts Are Most Likely To Fail?